Offering a stylish collection of homes available to buy with the Government-backed shared ownership scheme, purchasers looking to take their first steps on to the property ladder can enjoy a new home that forms part of a buzzing new waterside district, while still being within easy reach of the vibrant and cosmopolitan culture of the capital. The shared ownership scheme gives buyers the chance to purchase a share of a property, usually between 25% and 75%, paying a subsidised rent on the remainder. Purchasers can increase their share at any time, all the way up to 100% and outright ownership. For a limited period of time, Notting Hill Sales is offering purchasers who exchange contracts within four weeks the chance to pay no rent for their first three months (terms and conditions apply). Currently available within this first phase at Royal Albert Wharf is a contemporary selection of two and three bedroom apartments, located in a prime east London position and carefully designed to provide purchasers with hassle-free access to a wide selection of amenities. Residents can relax with a coffee and enjoy riverside views at the recently opened Lock Side Kitchen, or for those wanting to absorb more of a fine dining experience, there is a selection of restaurants and gastro-pubs only a couple of stops away via the DLR at nearby Canary Wharf. For those who simply want to take in the atmosphere with a leisurely riverside stroll without venturing too far from home there is a compilation of intimate green squares and places to discover. As well as the cafes, shops and bars that delicately line the docks, the homes here perfectly complement the urban waterside backdrop at Royal Albert Wharf. Jenny Murphy, Head of Sales and Marketing at Notting Hill Sales, said, “This area of east London is fast realising its true potential, and Royal Albert Wharf is very much a part of that. 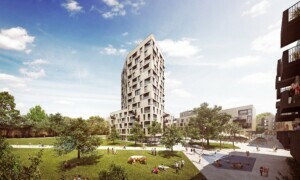 The current phase of homes has proved very popular with not only young professional buyers looking to buy their first home, thanks to the shared ownership and London Help to Buy schemes, but also with young families who need access to good transport links into the city without sacrificing their lifestyles. All of the homes at Royal Albert Wharf enjoy a modern and chic specification throughout. The full-height windows and doors flood the rooms with an abundance of natural light, while most enjoy access to a paved terrace or private decked balcony. Manhattan kitchens are complemented by a range of integrated appliances, and bedrooms are complete with fitted wardrobes and many include en-suite shower rooms. Bathrooms and en-suites feature white Ideal Standard sanitaryware, and Grohe chrome fixtures and fittings, including heated ladder-style towel rails. Commuters are well catered for at Royal Albert Wharf; Gallions Reach DLR is only a few minutes’ walk from the development, with services into Canning Town in just 11 minutes, offering quick access to Canary Wharf (19 minutes), London Bridge (22 minutes) and Waterloo (25 minutes) via the Jubilee Line. Opening later this year, Custom House will enable city workers to travel into central London with ease via Crossrail, reaching Liverpool Street in just 10 minutes. 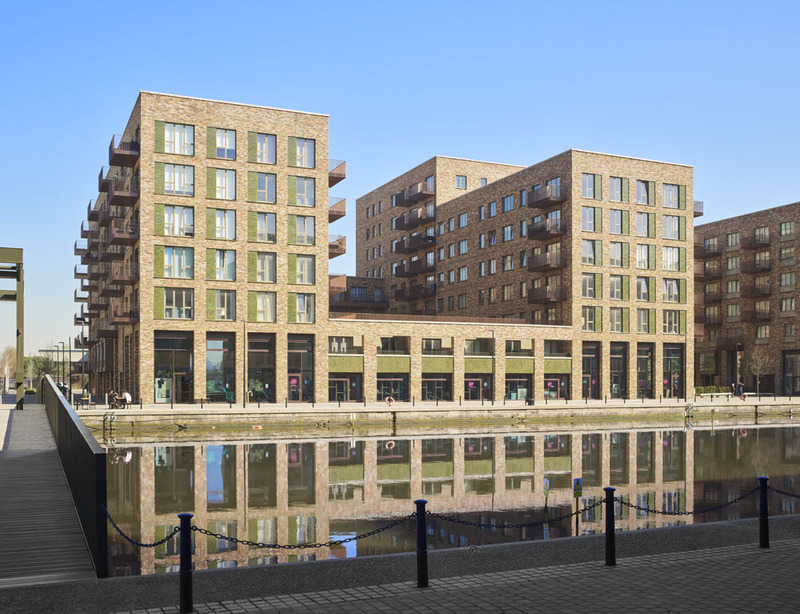 Prices for a two bedroom shared ownership apartment at Royal Albert Wharf start from £110,000, for a 25% share of the full market value of £440,000. There is also a selection of homes available to buy with London Help to Buy.